Though children’s literature is filled with talking animals, few of these characters speak while maintaining their natural state. 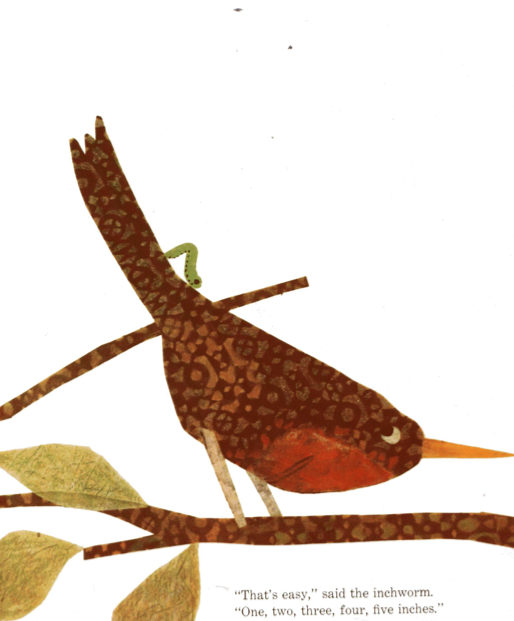 Even fewer exist within picture books. The primary reason for this is that it limits the human aspects of the story to emotions and logic. No external elements of people are allowed. No clothes. No human housing, jobs, or tools. And usually, no walking upright. 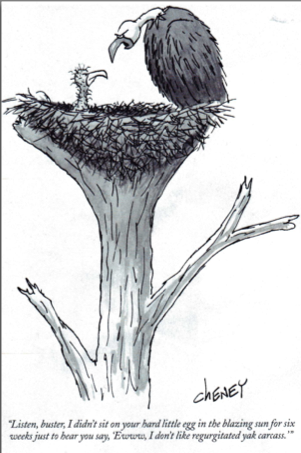 Maintaining the animal’s natural environment also eliminates many of the most familiar plot points in picture books. No stories about school, new siblings, grandparents, toys, etc. Yet, at the same time these limitations may feel confining to the writer, they can also nurture a distillation similar to the fable. 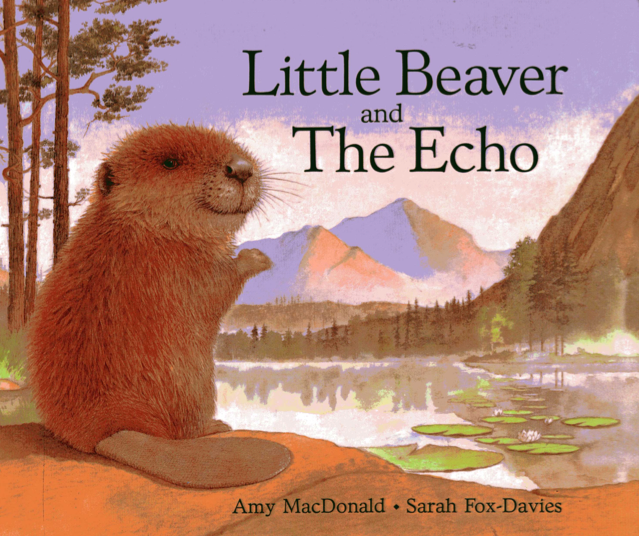 Amy MacDonald’s LITTLE BEAVER AND THE ECHO centers on loneliness, friendship, and naiveté. Little Beaver is clearly a child substitute and also a natural beaver. By taking her characters outside the human world, MacDonald creates a quiet, wooded setting that allows an echo to be heard, but it also evokes her themes. 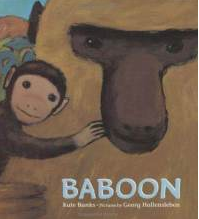 BABOON by Kate Banks is a multi-layered exploration of one’s environment. At the same time the baby baboon is discovering the physical aspects of the jungle, he is also learning the world is complex with little room for absolutes. Much like LITTLE BEAVER, Banks’ setting clearly outside the human world and its contemporary pace supports the gentle and reflective dialogue between mother and child. 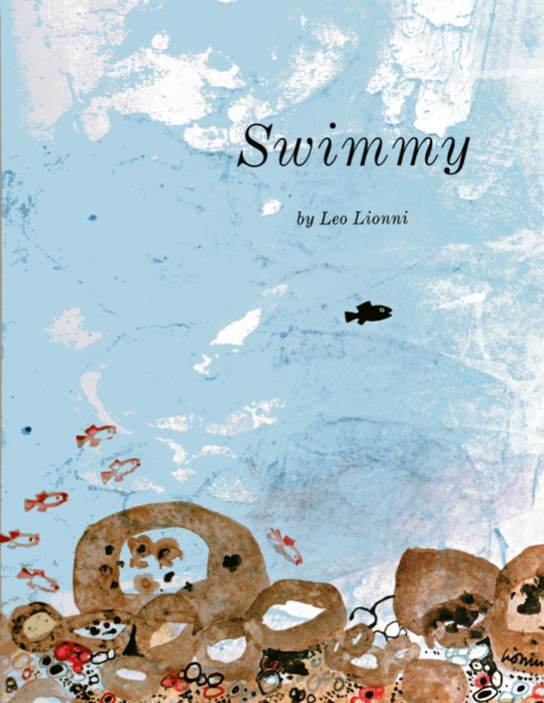 Nearly 50 years old, Leo Lionni’s SWIMMY, is not only a classic, but also a popular classic. Its theme, strength through unity, is found throughout literature, history, and current events. By using fish in their natural environment, Lionni is able to distill and visualize stories ranging from the French Resistance during WWII to the final scenes in the movies NORMA RAE and WITNESS to the current protests in Wisconsin over attempts to cripple unions. As always, the more specific the writer or actor can be, the more universal the experience becomes for the audience. If we have a picture book story with talking animals we have nothing to lose and much to gain by exploring a draft free of human trappings. Paring down our anthropomorphism to emotions alone might well bring clarity and help our story sing. BABOON by Kate Banks. Illus. by Georg Hallensleben. 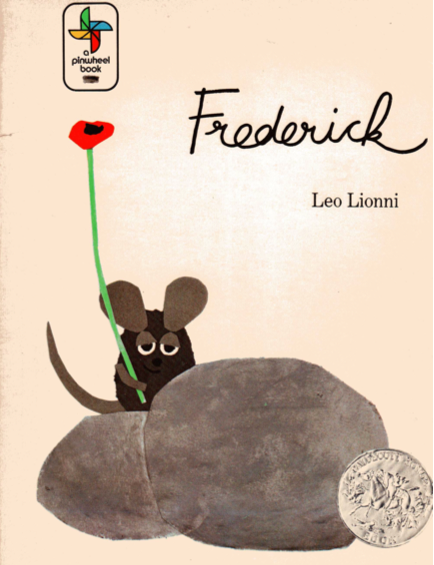 Frances Foster Books, 1997. LITTLE BEAVER AND THE ECHO by Amy MacDonald. Illus. by Sarah Fox-Davies. Putnam, 1990. Well into the movie BABE a little girl sitting behind me in the theater blurted, “Hey, sheep can’t talk!” For one reason or another she hadn’t been concerned that other animals were talking. But sheep? That was ridiculous. As surely as talking animals are a staple in children’s literature there are also crowds who resist and even despise them. 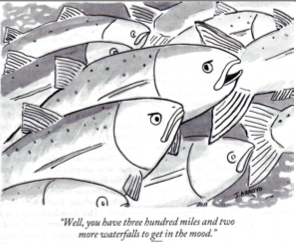 There are writers to use talking animals wisely. And others who hope talking animals will be enough to disguise a weak story. 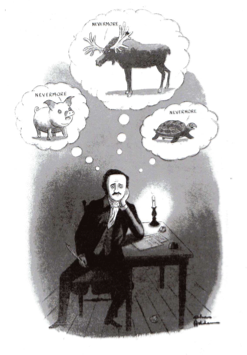 When someone asked editor/author James Cross Giblin what he thought about talking animals his frequently quoted response was: “It depends on what they have to say.” It also depends on when, where and to whom they speak. 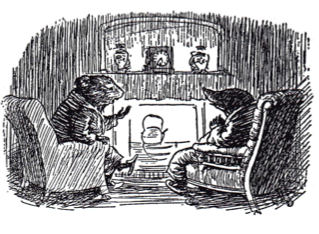 This series of posts will explore talking animals (anthropomorphic characters) as a literary device in picture books. Like any element of writing, it is important to understand how to use it, why we’re using it, and whether or not it enriches or deflates the story we have to tell. And, to no surprise, they are many sub-sub-genres as well as countless overlapping perils and possibilities. FROG AND TOAD ARE FRIENDS by Arnold Lobel. Harper, 1970. MARTHA SPEAKS by Susan Meddaugh. Houghton, 1992. ZELDA AND IVY by Laura Kvasnosky. Candlewick, 1998. Begin at the Beginning by Amy Schwartz. (Harper, 1983). When a little girl is overwhelmed by trying to create something magnificent her mother gently helps her refocus on the small things she truly knows. Billy’s Picture by Margaret & H.A. Rey. (Houghton, 1948). In this variation on “too many cooks spoil the broth” Billy’s friends are so eager to critique and revise his picture it becomes unrecognizable. Black Elephant With a Brown Ear (In Alabama) by Barbara Ann Porte. 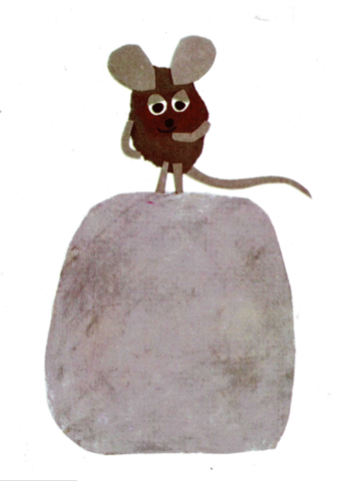 Art by Bill Traylor. (Greenwillow, 1996). In this ingenious book Porte shares the writer’s world of imagining “what if” as she looks at images by the folk painting Bill Traylor. How do you get ideas? You get them doing this. Cherries and Cherry Pits by Vera Williams. (Greenwillow, 1986). Danny’s Drawing Book by Sue Heap. 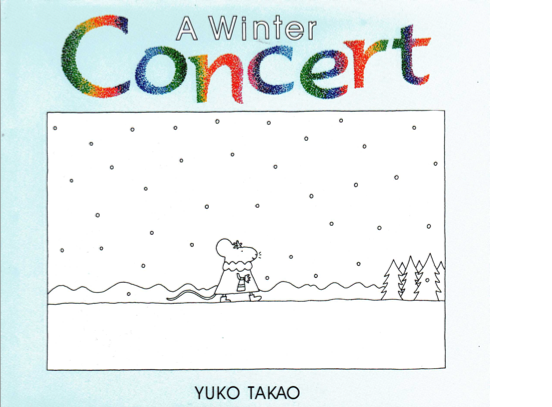 (Candlewick, 2007). Danny takes his drawing book everywhere. When he and Ettie visit the zoo the combination of their experiences, questions and imaginations create a vibrant new story. David’s Drawings by Cathryn Falwell. (Lee & Low, 2001). David draws what he sees, but well-meaning friends keep adding their advice on what he needs to do to “improve” his drawing. Do Not Open This Book! by Michaela Muntean. Illus. Pascal Lemaitre. (Scholastic, 2006). As funny as it is outrageous, this romp touches on everyone’s fears and foibles about writing. 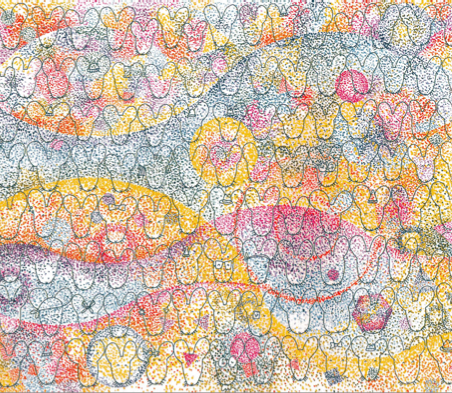 Doodler Doodling by Rita G. Gelman. Illus. Paul Zelinsky. (Greenwillow, 2004). Where do fresh ideas come from? Playful doodling with words and ideas! Emma by Wendy Kesselman. Illus. Barbara Cooney. (Doubleday, 1980). Emma loves her family and art. At 72 she realizes that she has cause and abilities to create. She begins painting the visions she loves—past and present. This fable celebrates the place and value of the artist in society. 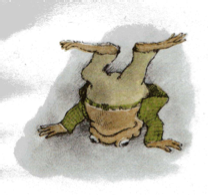 Frog and Toad Are Friends by Arnold Lobel. (Harper, 1970). While Toad chases after story ideas, Frog knows his daily experiences are the stuff of stories. Goldie the Dollmaker by M.B. Goffstein. (Farrar, 1969). Goldie is an artist and a lover of art. When she spends far too much on a lamp she loves, she comes to realize that all artists create for those who will love their work as much as they do. Artists create for their beholders, friends they will never meet. Lizard’s Song by George Shannon. Illus. Aruego & Dewey. (Greenwillow, 1981). Our best creations come out of our own lives instead of echoing others. Play With Me by Marie Hall Ets. (Viking, 1955). With patience, quiet, and deep receptivity, those formerly illusive ideas will come. Regina’s Big Mistake by Marissa Moss. (Houghton, 1990). What first seems like a terrible mistake becomes a springboard for a fresh, unique idea. 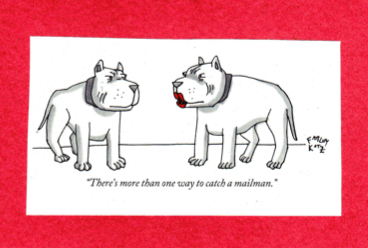 Simple Pictures Are Best by Nancy Willard. Illus. Tomi dePaola. (Harcourt,1976). Just as this family tries to get all their possessions into one photo, what writer hasn’t tried to get all his beloved ideas into one story? Less is more. Three by the Sea by Edward Marshall. Illus. James Marshall. 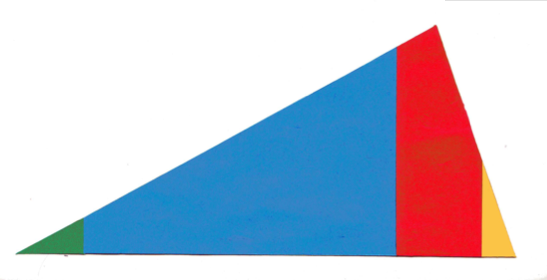 (Dial, 1981). This early reader shows and evokes so much about what goes into making a good story I recommend it to writers of every age. 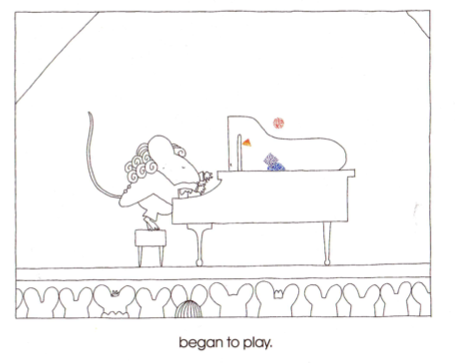 Uncle Elephant by Arnold Lobel. (Harper, 1981). Uncle Elephant creates songs and stories out of his daily life AND his heart is lightened through the process. What’s the Big Idea, Molly? by Valeri Gorbachev. 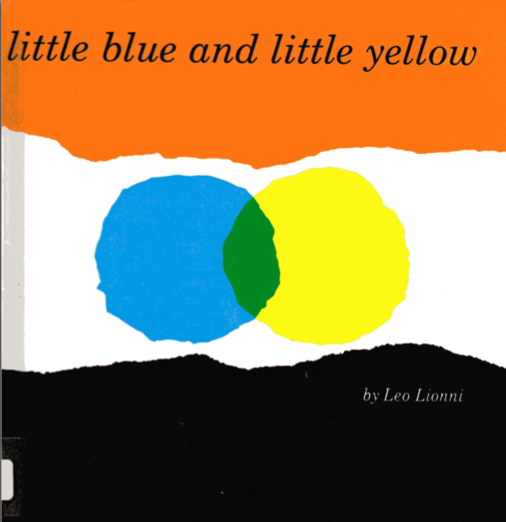 (Philomel Books, 2010). Molly is a writer in love with beautiful words, but ideas are often illusive. What first seems to be frustration or failure sparks a lovely, unique birthday gift. A Writer by M.B. Goffstein. (Harper, 1984). 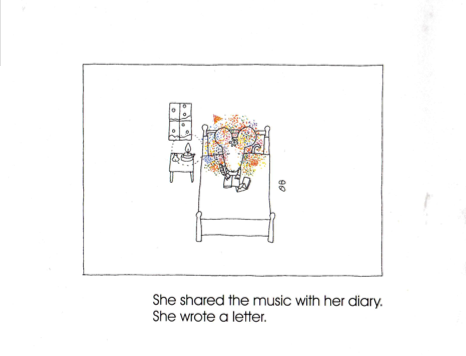 A beautifully distilled essay in picture book form on the life of a writer.